Reading between the lines has taken on a whole new meaning thanks to the term ‘fake news’. Now Mr. Trump might believe that he is responsible for coining the term but The Long and Brutal History of Fake News piece in Politico Magazine highlights world events that suggest otherwise. If we don’t know how to or know that we should, question the stories we come across on a daily basis we are allowing ourselves to be uninformed and quite likely persuaded by untruths. Now as Dani talks about in her post this week, figuring out what’s fake today is a more difficult task than it was 20 years ago. However, when we base our opinions and responses on things we believe to be true, without verifying, we are creating a culture where manipulation of the truth is accepted. This is scary! Prior to starting my graduate degree, I wouldn’t have considered myself someone who was critical enough of the things I read online. I was aware that there were things I shouldn’t believe but certainly didn’t question things quite enough. As I have worked through my courses I have spent a large portion of them in educational technology classes with Dr. Alec Couros and have grown to be more critical and aware of what I am viewing online because of what I have learned in these classes. If you are in education or have a child and aren’t already following him on Twitter, go right now and do that, I promise you won’t regret it and that you will definitely learn from him! I think those who have the knowledge of what it means to be critical of media today, have a responsibility to share how we have come to develop those skills and what that means when it comes to being an informed citizen. I can’t even begin to count the times I have seen “Click Here to Win A Costco (or any large retail store) Gift Card”, “Share This Post and You Will Receive $1,000,000.00”, “Share this Post and I Will Share My Lottery Winnings With You”, news stories from 5 years ago being re-shared, missing (but now found) pet posts being re-shared and anything else along those lines on Facebook. I will admit sometimes, I get just a tad bit frustrated by these but then I have to remind myself that I have some background knowledge on how to question these things. Since gaining this knowledge I have realized I spend a lot less time focused on the ‘news’ that comes across my Facebook feed and more time spent viewing posts from friends and family. This past week I made a conscious effort to stop myself when I clicked on something to read, outside of posts by friends and family. I found it interesting to go back at the end of the week because I was spending less time than I thought on Facebook and more time interacting with media created by people I actually know and would stop to talk to on the street. I should also mention that during the last 6 months or so I have made an effort to unfollow several business or celebrity accounts on social media because I was missing out on posts from those very people! Twice throughout the week, I went into my settings on my phone to check out just where I was spending my time when I was on my phone. I was actually quite surprised to see these results when I went in there. Sometimes I feel like I spend way too much time on my phone but knowing about the efforts I’ve made to interact with posts that I know are real, I was happy with what I saw. One important observation I made with that the Buzzfeed app didn’t have more than 1% either day. I am curious what that would have looked like about 6 months ago because I could certainly lose a lot of time on the quizzes and stories on that app not all that long ago. Throughout the week I also took a screenshot of a couple articles that came across my phone that I stopped to question! 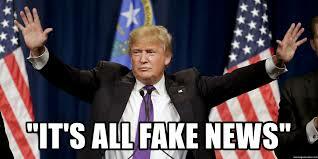 After watching Jaimie and Jocelyn’s video this week I realized, that through time and practice, I have developed the 5 skills for identifying fake news that they discussed. I did google the first one to check if it was a true story and came across several different links to the same story being reported by various sources. I actually didn’t make it through the complete list on the second posts because I just didn’t feel like it sounded real and even if I had googled to fact check, I’m not sure we can ever trust what is reported on the lives of celebrities unless we hear it directly from them. I don’t know that I consciously always use each step but I didn’t realize until this week, that I was using them at times. Also, I learned about Snopes this week! I had heard of it before but really didn’t know anything about it, will be checking it out in further detail! These two are the examples from this week but I would say, with confidence, that this is something I do on a regular basis and I can attribute that to becoming educated and informed. As educators, we have a great responsibility and power to help our students understand how to decipher what is fake and what is real. However, one trend that I am starting to see pop up on social media from time to time is celebrities taking to their accounts to let their fans know what accounts are real and which aren’t. When it comes to young people, celebrities hold a great power as well. Check out Jason Aldean on Instagram taking a moment to educate his fans about how to identify fake accounts. I like how you consciously took time this week to think about what you are reading. I think this is so important to do. So many times when we are on our phones we are literally scrolling and reading without actually paying attention to what we are reading and how that impacts us. I think it is important to be mindful when we are online and ensure that we are paying attention to what we are reading and how that impacts us instead of just blindly scrolling and reading. Very cool idea to monitor which apps you are using the most. I am going to try this as well and see where I am spending the most time!